Bars are dime a dozen in Asia, and while you’ll easily find one that’ll indulge you with a daiquiri or martini, you’ll find that it’s far more challenging to seek out a haven that properly knows a thing or two about fine whisky. Though once the pastime of noble gentleman, whisky appreciation has made its way around the world at astonishing speeds. This has triggered not only the rapid opening and expansion of distilleries and the launch of special editions globally, but also a profusion of establishments that aim to satisfy even the most discerning of aficionados. As one of the leading regions in global whisky sales, it comes as no surprise then that Asia has seen a remarkable increase in the quality and quantity of whisky bars. Armed with a trove of knowledge and an enthusiasm that’ll undoubtedly convince you of one tasting dram too many, these bartenders in Asia celebrate the malt liquor on another level. 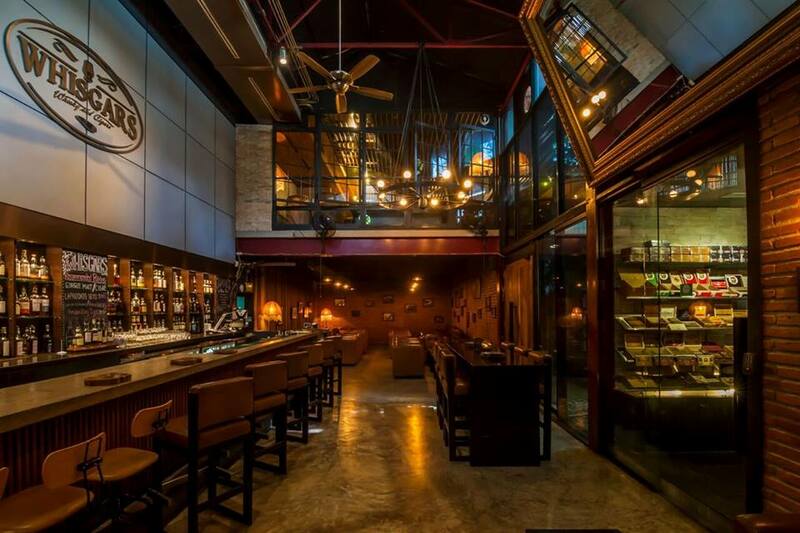 Whether you like your whisky neat, on the rocks or stirred into a Manhattan, here are the best whisky bars in Asia to mark on your itinerary. 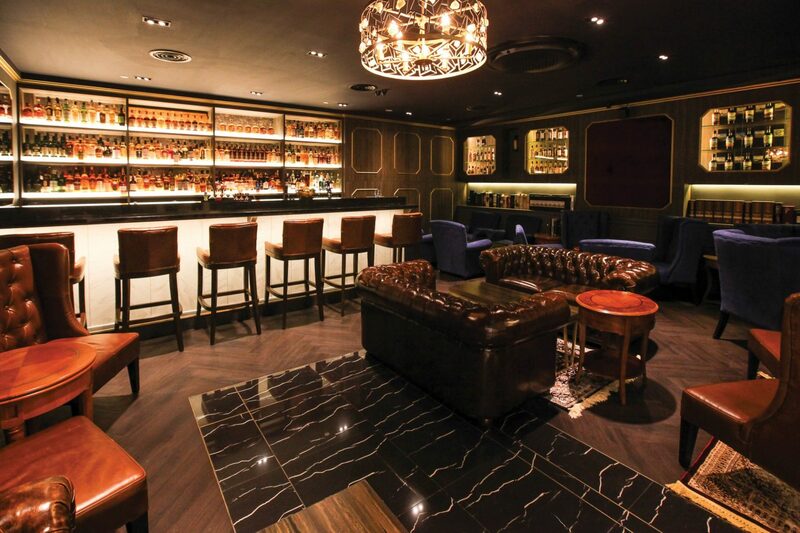 A 35-seater establishment ensconced in the heart of Singapore’s bustling Orchard Road, The Writing Club offers over 700 carefully curated labels of rare and collectible whiskies and spirits from around the world. The warm surroundings, with its plush Chesterfield sofas, and a gold-stitched red velvet crest on the wall bring to mind the decadence of a gentleman’s club, and is the perfect spot to kick back at after a long day. Inside, the bartender is well-versed with the intricacies of every spirit available, and will make customised recommendations based on your preferences. Besides, we can’t think of a better place to kick back with a good ol’ dram of Johnnie Walker Blue Label. Beyond the Don Draper-approved interiors that look straight out of New York in the Roaring ‘20s, Tiffany’s New York bar is home to more than 300 labels of whiskies — one of the largest selection in Hong Kong. The cozy space, defined by its sleek leather booths, vintage paintings, dim lighting and intimate live band performances, is located just off the lobby of the prestigious Intercontinental Grand Stanford Hong Kong, is a well-known spot amongst knowing locals and expats, and offers a welcomed respite from the bustling Tsim Sha Tsui that it’s located on. A Scotch boudoir in the heart of Seoul, Le Chamber is the brainchild of two of South Korea’s finest bartenders — Lim Jae-jin and Eon Do-hwan. Though freshly opened in 2014, the Cheongdam award-winning hotspot has all the workings of a classic speakeasy, with exposed brickwork, chandeliers, and a secret room accessed via a retro Victorian-esque library. The whisky list boasts over 200 labels of rare and exclusive options (think along the lines of the Johnnie Walker 150th Anniversary), and Johnnie Walker-based cocktails such as Walking in Space. Expect a cool crowd every night — it is, after all, located in Seoul’s snazziest district. Like its name proudly suggests, Whisgars is the spot you have to be for quality whisky and cigars, especially you’re craving an experience even Ernest Hemingway would approve. 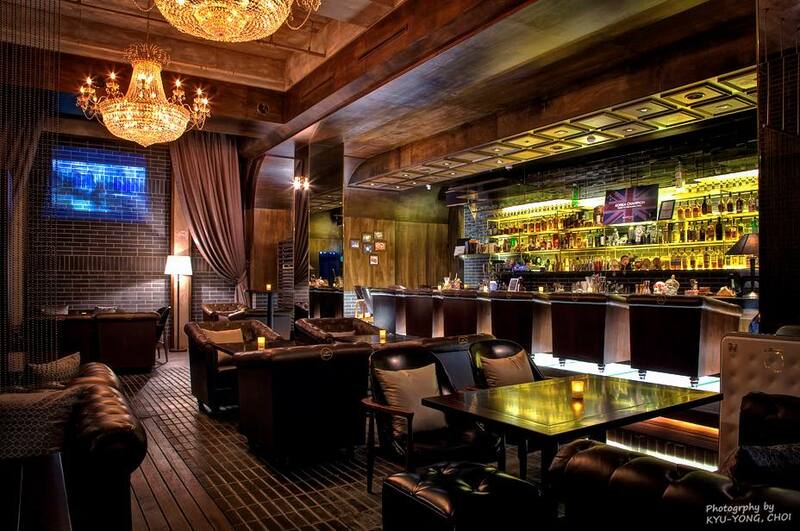 Though steeped in austerity, the space is a modern interpretation of a gentleman’s club, with tufted leather furnishings, bare bricks, and stone finishings. The mood is often kept light with performances by jazz and blue bands, and you’ll find a list of highly respectable whiskies such as the John Walker King George V and Blue Label that pairs beautifully with its expansive selection of some of the finest hand-rolled cigars available. An intimate yet quirky den off Shinjuku’sneon light-drenched beaten tracks, Zoetrope is a passionate marriage of two of its owner Atsushi Horigami’s greatest loves: American movies and whisky. While not as expansive as the rest on the list, the inviting and homely space successfully breaks down the intimidation that comes with specialty whisky bars. Amidst a constant stream of silent black and white movies, you’ll get to choose between some of the rarest and sought-after whiskies, some of which are only exclusive to the cozy establishment.